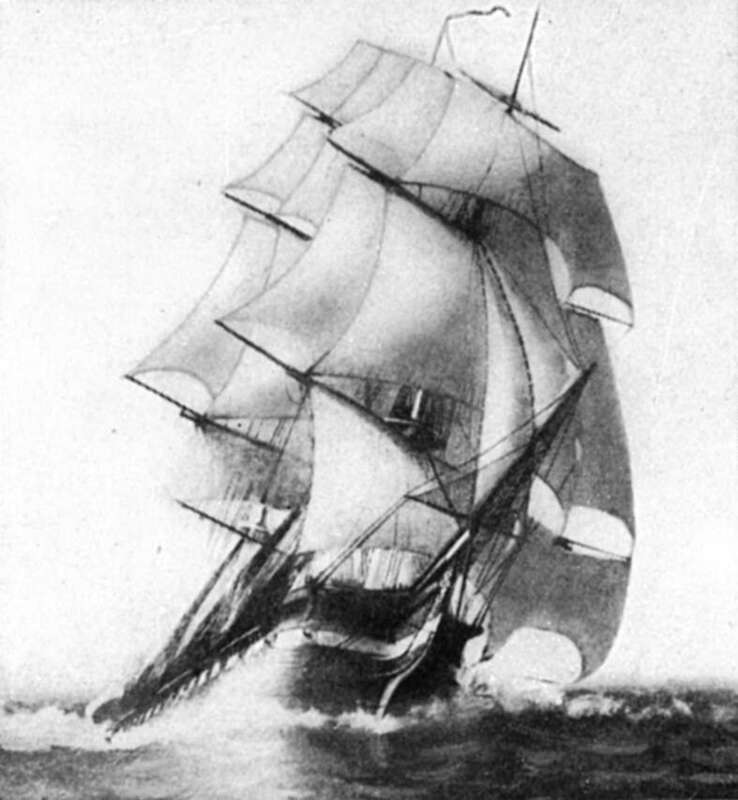 Wooden sailing ships were an integral part of the Buccaneering Age, the Golden Age of Piracy, the Age of Sail, and the Royal Navy during the Napoleonic Era. These photographs demonstrate some of the material covered in the workshops I teach on these subjects. 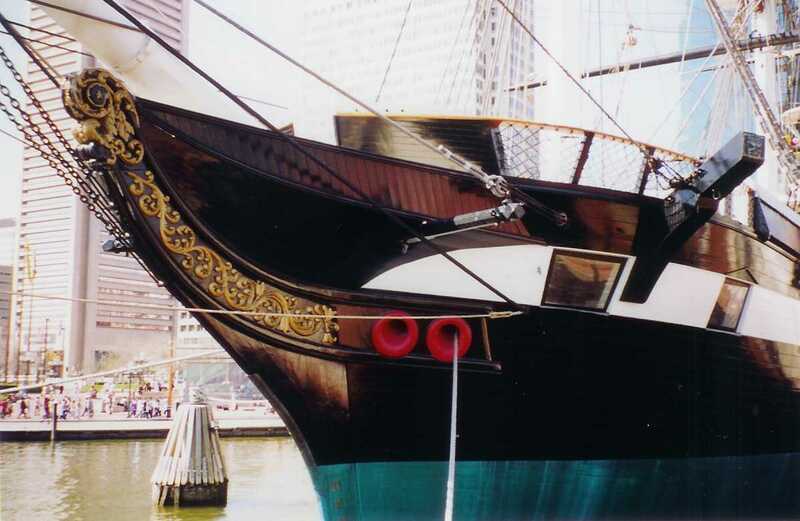 The USS Constellation (Baltimore, MD) and the Elissa (Galveston Island, TX) still provide insight into life at sea during these periods. The links provide additional information about these ships, as well as others. Before the 1800s, figureheads depicted kings, warriors, naval heroes, Greek gods, lions, tigers, eagles, unicorns, birds, and monsters. Female figures slowly joined other figureheads and by the 1780s were quite popular. 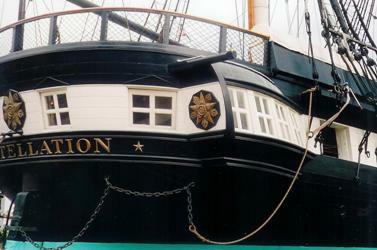 The Constellation's prow had ornamental decoration rather than a figurehead. 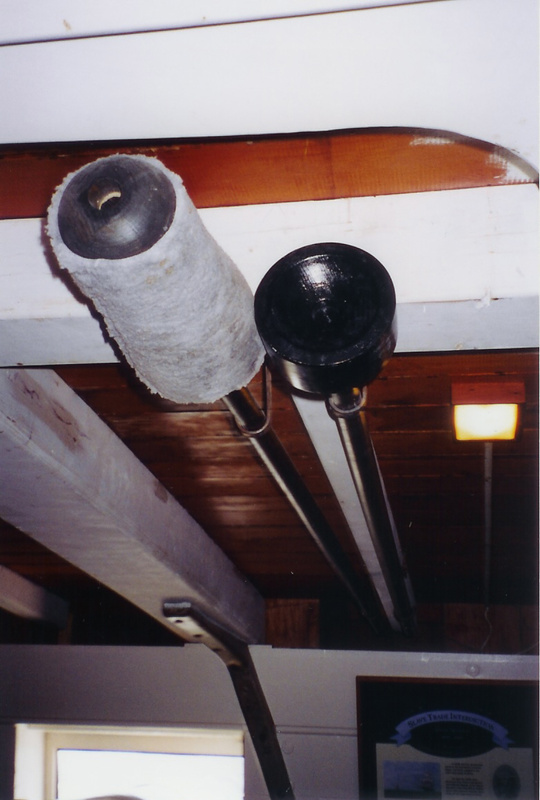 The seaman (left) inserts a capstan bar (long pole) into one of the pigeon holes of the capstan. 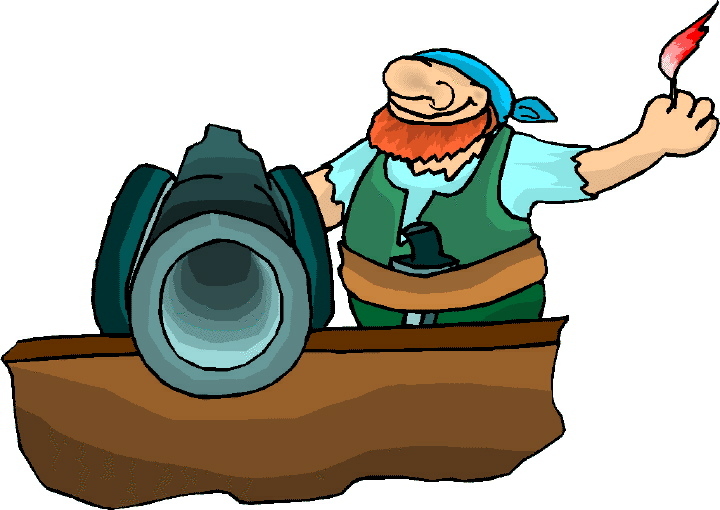 A number of men manned each bar and slowly marched in a circle to hoist the anchor. Elissa Built in Aberdeen, Scotland in 1877, this iron-hulled freighter transported cargo around the world. 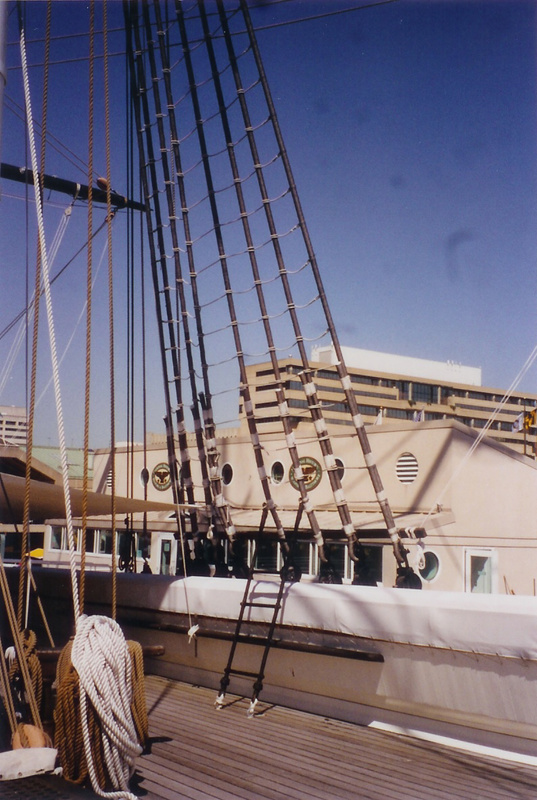 Rigged as a barque, meaning all but her last mast carry square sails, her mainmast towers almost one hundred feet above her deck. 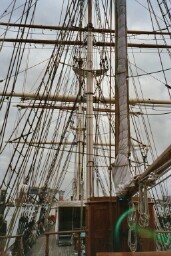 Her 174 lines total 4.5 miles of rigging. 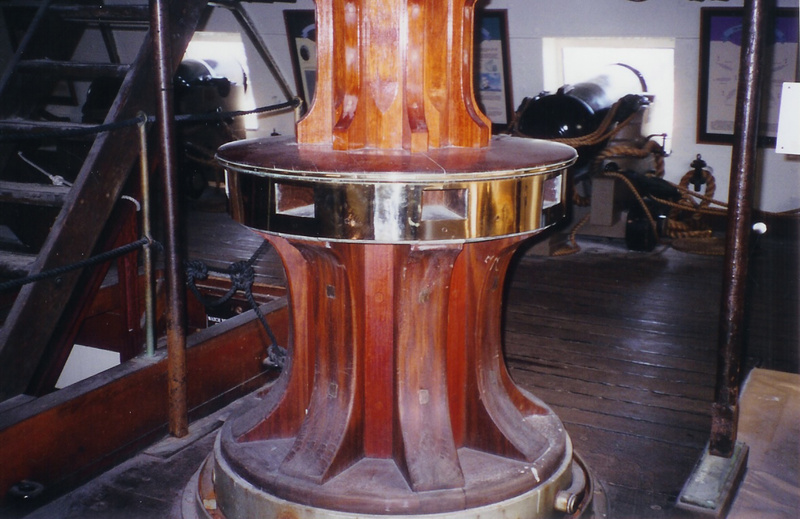 The distance between the top of HMS Victory's mainmast and the waterline is 205 feet. Sailors climbed aloft on the ratlines, horizontal ropes that provided steps. 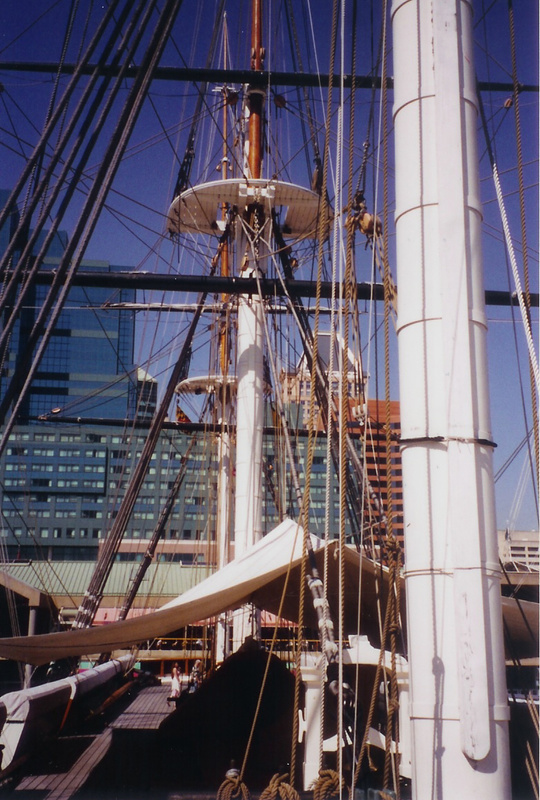 The shrouds, tarred vertical ropes, supported the mast. Her three masts, from bow to stern, are the foremast, the mainmast, and the mizzenmast. 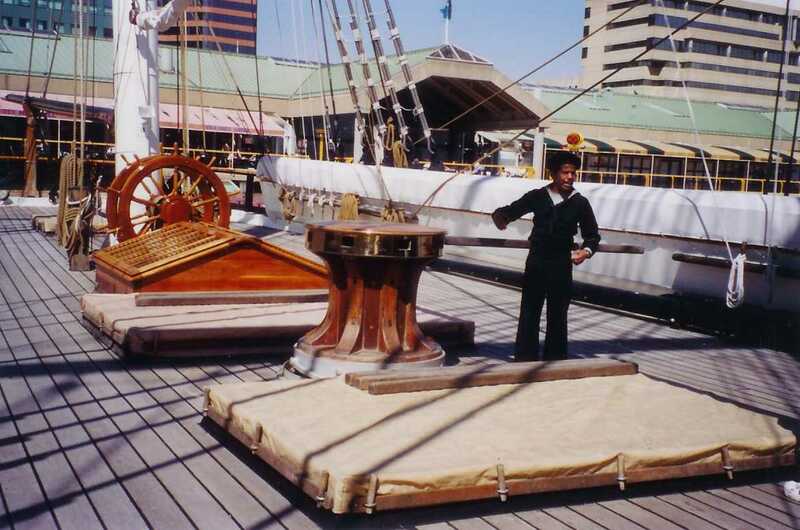 When sailing in hotter climates or during the summer, a canvas could be rigged across the deck like an awning to provide shade from the sun and heat. In the foreground is one of the Constellation's locked arms chest. During the Civil War, this ship's armament included four thirty-pound long guns, one twenty-pound and one thirty-pound Parrot rifles, and three twelve-pound howitzers. The HMS Victory was a first-rate warship with one hundred guns on three decks -- the upper deck, middle deck, and lower or gun deck. The USS Constitution, a frigate, carried forty guns. The rammer was flat headed and used to load shot and wad. The damp sponge, made of sheep skin, extinguished smoldering embers lodged in the bore of the gun. 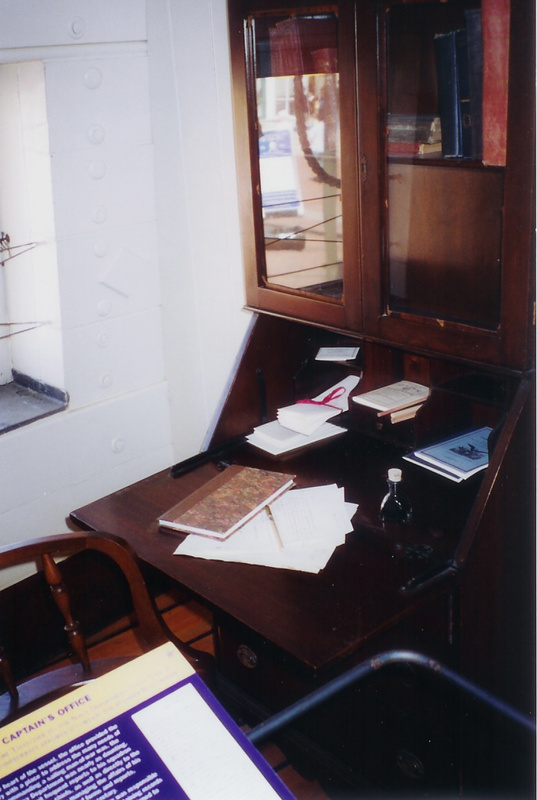 Situated in the aft section of the Constellation's gun deck, the captain's cabin consisted of a large day cabin with a table where the captain entertained officers or guests and where charts and maps could be spread out to examine, and several smaller cabins on the starboard and port sides of the ship. The pictures to the right show this area from the interior and exterior. 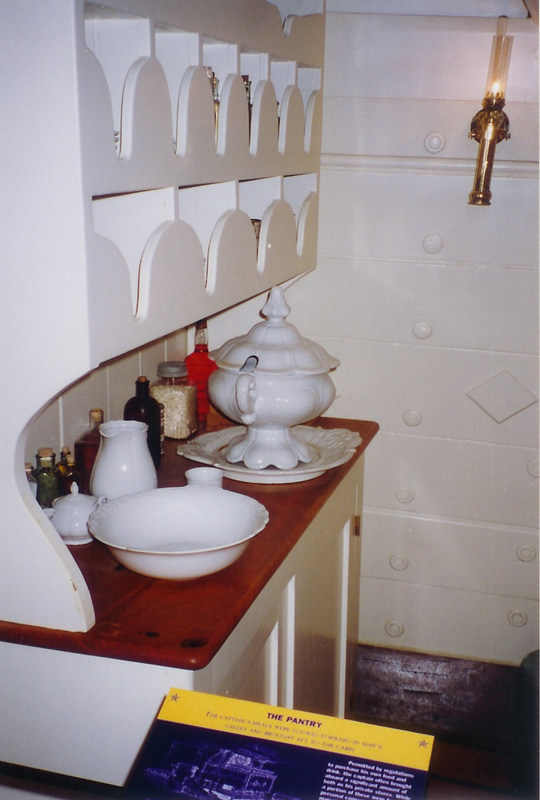 The captain's mess was cooked in the Galley, then brought here to the Pantry before being served to the captain. 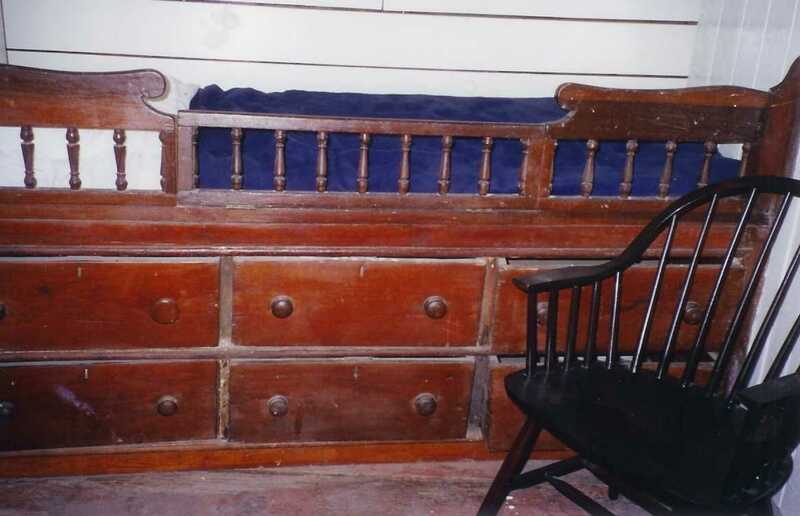 The captain's rank permitted him private sleeping quarters that were more luxurious than those of his officers and the enlisted men. 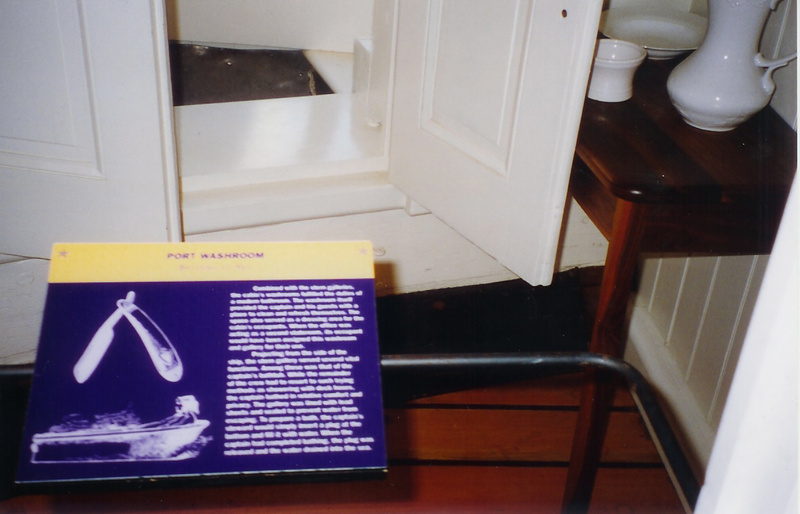 The captain also had his own washroom complete with a bathtub (the dark box seen through the door) and the head (toilet - see below) with a fancier seat of ease than those the enlisted men used. 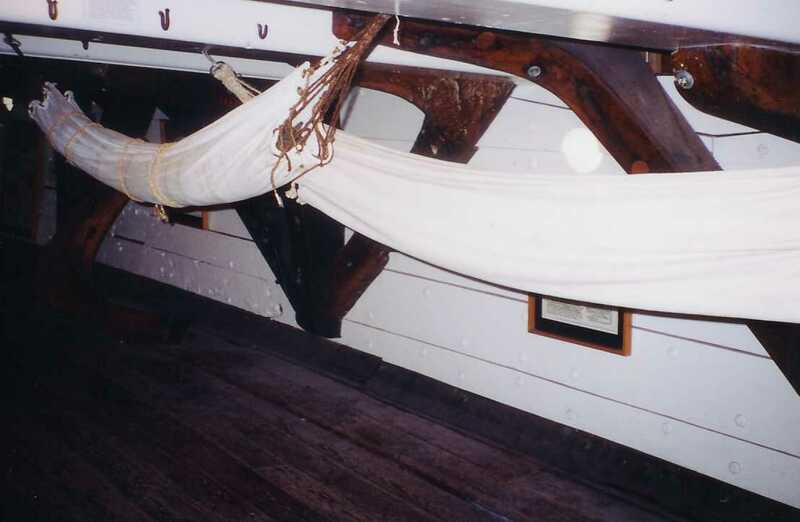 Hammocks for enlisted men Just below the gun deck was where the men slept, messed, and relaxed. On the Constellation lived 255 sailors, 44 Marines, and 19 officers. 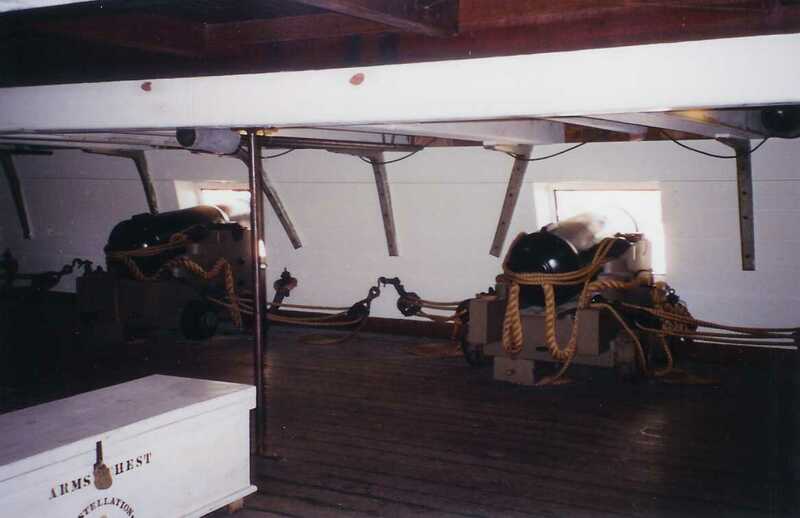 While the US Navy called this the berth deck, the British Royal Navy referred to it as a gun deck, even if no guns were on it because it was below the water line. 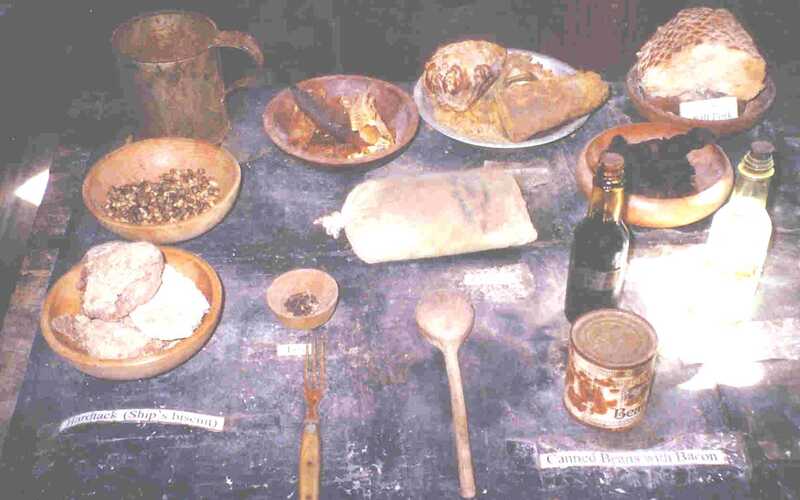 The typical diet for a seaman was bland, boring, and not necessarily healthy. 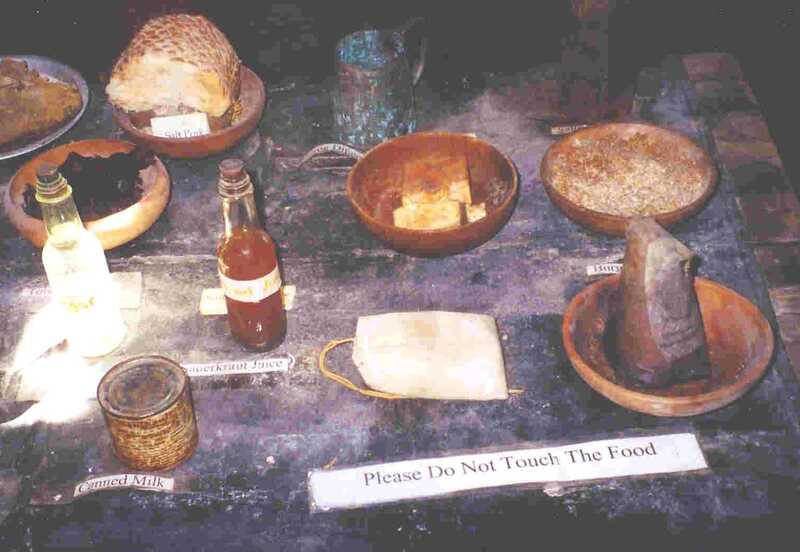 Among the items seen here are hard tack, molasses, canned beans with bacon, tea, and coffee. The bottle with the darker liquid is sauerkraut juice. The can contains milk. 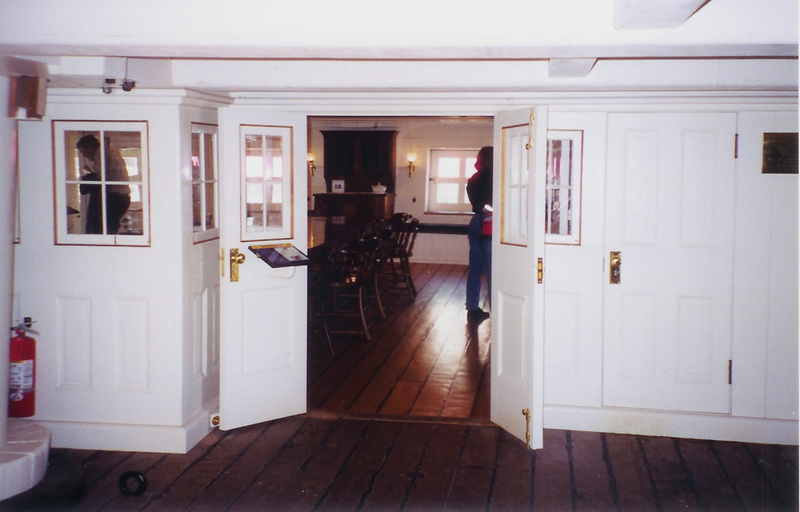 The galley stove aboard the HMS Victory could roast a pig on a six-foot spit and bake 80 pounds of ship's biscuits at one time. Its distiller provided the surgeon with six quarts of water every day. 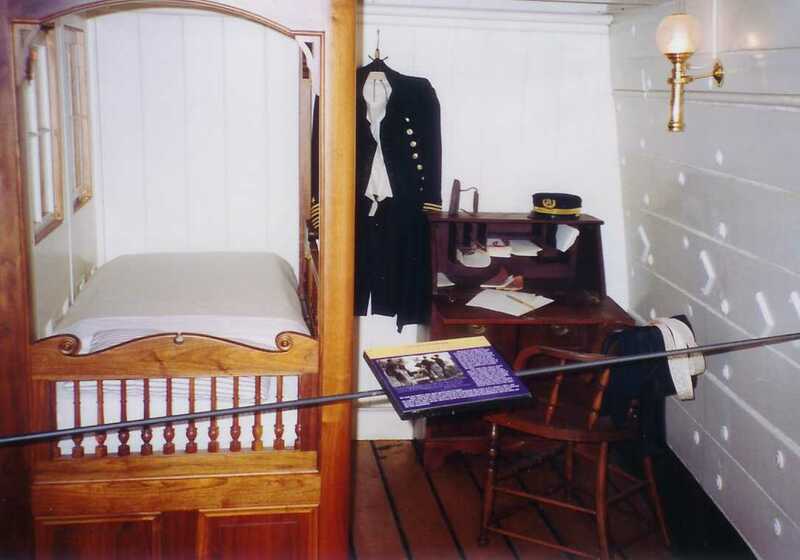 The officers' quarters were directly below those of the captain. 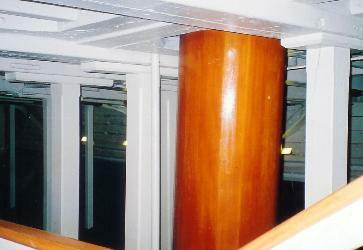 A removable bulkhead separated these cabins from the rest of the deck. At the opposite end of the vessel was sick bay, where the surgeon treated ill and wounded sailors. His patients slept in box-like hammocks. The table was used to examine a patient of operate on him. 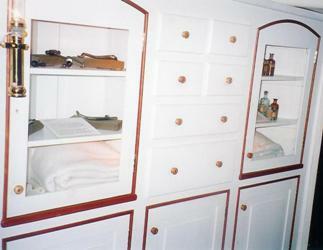 The cabinet housed medical equipment, supplies, and medicines. 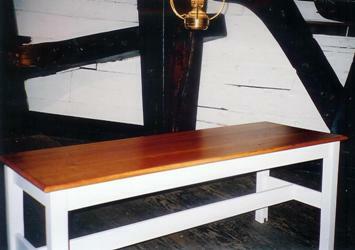 The aft section of the Orlop, the lowest deck above the hold, housed cabins where supplies could be kept under lock and key, and warrant officers, such as the carpenter or gunner, had their workrooms. 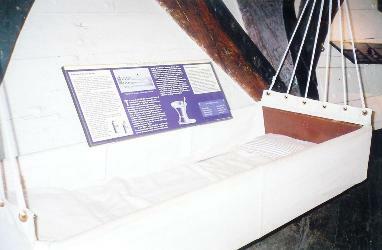 The forward section of the Orlop held supplies, like the blocks and various types of cordage, needed on the ship. Just aft of this area was the brig, where sailors under arrest were housed. The hold was the lowest part of a ship, where ballast and some stores were housed. 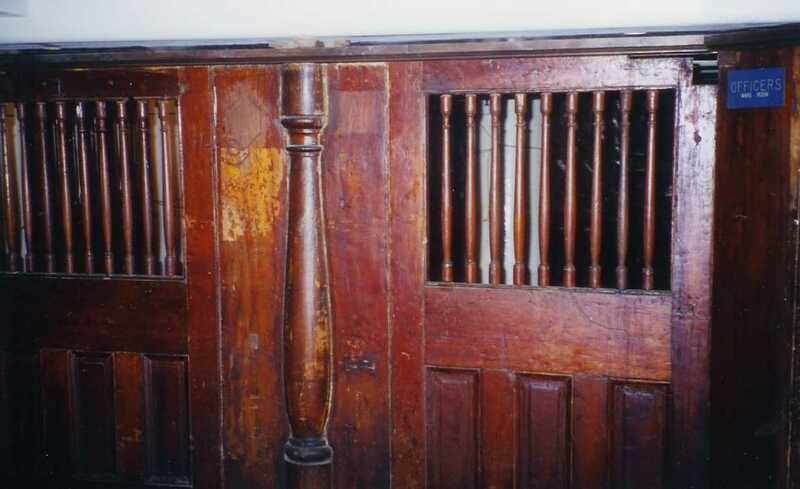 To top picture shows a long view of the hold with the base of the mainmast in the foreground. 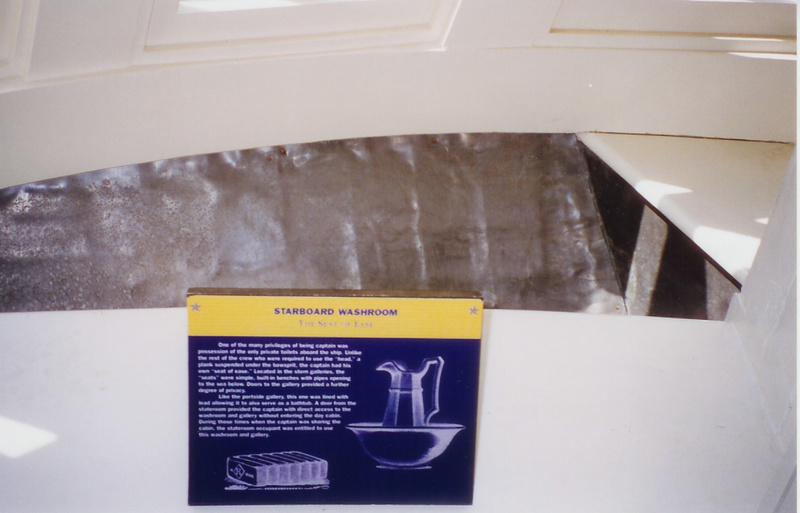 The bottom picture shows the interior of the hull. 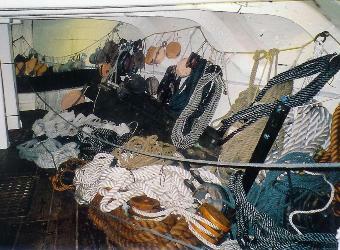 Some barrels might be suspended from the deck above, while others would be carefully stowed to make certain that they didn't tumble or shift because unevenly distributed weight might cause the heel over or sink. 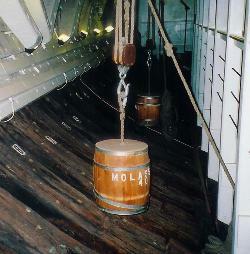 The iron rings around the barrel of molasses signify that its contents are liquid. Solids were packed in barrels without such rings.